Home-Cost.com™ and Home-Cost™ are trademarks of Project Planning & Management, Inc., a privately held Michigan corporation. 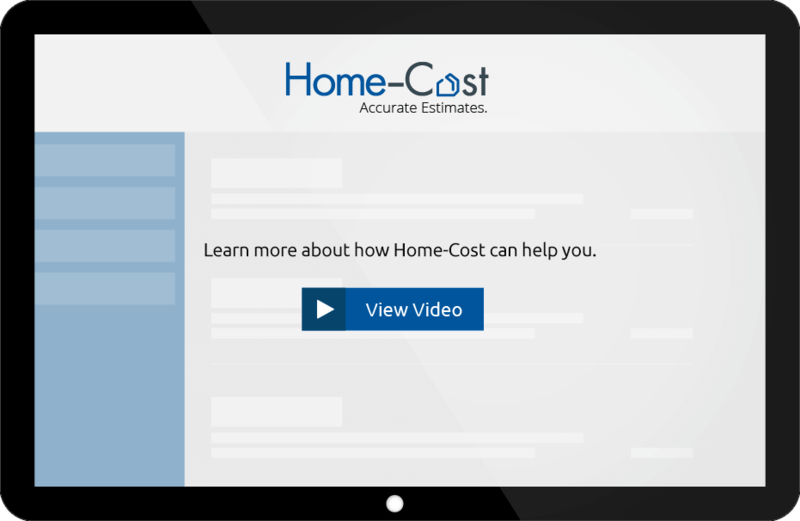 Home-Cost™ are products of Home-Cost, a subsidiary of Project Planning & Management, Inc. The names of actual companies and products mentioned throughout this site may be the trademarks of their respective owners. Home-Cost.com, Home-Cost FULL FUNCTION, Home-Cost PRO and Home-Cost INSTANT contain proprietary material and patented technology protected by USPTO patent #7389255, United States copyright laws and international treaties. Unauthorized reproduction of this site or software, or any portion thereof, may result in severe civil and criminal penalties, and will be prosecuted to the maximum extent possible under law. Project Planning & Management, Inc. and Home-Cost President Robert Formisano, AIA is a licensed architect and licensed residential builder and patent holder for the estimating engine used in Home-Cost.